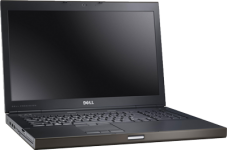 The Dell Precision series are super thin and lightweight notebooks that provide a full-blown workstation performance. You can work with perfect clarity, as the ultra HD display will not let you miss a single detail. Upgrade your ram memory for a faster and better performance.